A hobby was sparked for Chuck Matthews back in 1986 when he was gifted a trip to Sao Paolo, Brazil and noticed an intriguing fan buzzing above him. With the help of a friend, he was introduced to the family that crafted them and purchased one of the fans later on in life. Friends back home loved the fan, and he began importing them and selling them here and there. In 1999 everything changed when Chuck's beloved hobby started to take up more and more time, "[It was a] hobby, hobby out of control, and then a real imposition." Chuck adapted his life, and Matthews Fan Company was made. 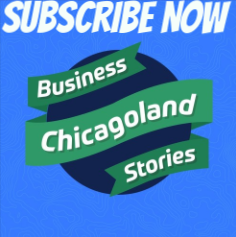 Listen in to Episode 3 of Chicagland Small Business Stories Podcast to hear how Chuck's adaptability helps him run his business and also how it saved his company from the recession. Lastly, learn why Chuck chose to utilize energy efficiency retrofits for his Chicago based business and how Verde helped him achieve energy savings. Jamie: Welcome back to episode three of the Verde podcast. Every week we talk to local business leaders and entrepreneurs to understand the real story that doesn't make to it the spotlight but is how actual businesses are actually built to succeed. Today we have Chuck Matthews, who is the founder of Matthew's Fan Company. Chuck is a super interesting guy that I met this year and I've really got a lot of respect for. And when I started the podcast idea he was one of the first ones I thought of, since he's grown a very interesting business that involves international import and has grown it pretty successfully by himself. [inaudible 00:00:57]. So Chuck, welcome. Chuck Matthews: Hi, how are you. Jamie: Yeah good, good. Glad to have you. So we just always start off with, kind of, tell me a little bit about your business, when you started it, what you guys do, and give me kind of the background up until today. Chuck Matthews: Sure. In 1986, I was gifted a Christmas trip to visit a friend down in Sao Paulo, Brazil. And on that trip I noticed an interesting ceiling fan that was sort of rotating and vibrating and making some funky noises above my head in a little café. And said to my friend, "That's a really interesting fixture." It had a central sphere and then on the end of the spheres it had two fan heads, two small fan heads roughly about 12 inches in diameter, and they were rotating, and the whole fan was rotating about it's axis. And had never seen anything like it before and my friend said, "You know, a friend of mine's family makes those, and they make them out of a little garage facility down in the southern art of Sao Paulo. Perhaps you'll meet Claudia this evening, a bunch of us are getting together and meeting at a little café called [Singapore 00:02:00]." So that evening I did meet Claudia, we became friends, and she invited me to tour her small facility, which consisted of just a couple of desks, a little office, and a couple of work stations in this garage behind. There, she and her family had been making these very unique ceiling fans since about 1962. So on a subsequent trip down to Brazil a couple years later I purchased a fan, put it up on my ceiling, and people liked it. I didn't think that I had any sort of business, I just thought maybe I could create a hobby, an interesting hobby, whereby I could import a few fans and sell a few fans and then return and visit my friends in Brazil. And that's sort of how the business preceded up until about 1999. So roughly about eight years or so it was a hobby, then a hobby out of control that commanded a lot of my attention. So from my day job I was finding myself having to go back to my warehouse and put together, or back to my home, into the root cellar of the house that I was renting, and put together fans and then call UPS at midnight and say, "Okay, pick these up tomorrow," pile them up in my foyer of this, again, of this building, this house that I was renting. And UPS would come by and pick up these free fans and take my check that was taped to the front, and meanwhile I hoped that no one would come to the foyer and steal the fans. So that happened up till about 1999, and about 1999 was the turning point. It was a hobby, a hobby out of control, and then a real imposition. So I thought either I'd turn this into a business or I had to abandon it. So I started to do my own designing and I released two additional models other than the original first model in the year 2000. And then by August of 2000, it had become a sufficient enough business to support me. And so, really, from 2000 I've been fully self-employed and that's when Matthew's Fan Company was fully born. We're incorporated since 1992, but eight years of do I want to do that? Am I Fan Man? I really didn't have the identity because, you know, my parents would refer to me as the Fan Man and I'm not a Fan Man, I'm just a guy producing fans. And I suppose it was somewhat evident in the specs of our product, too, and we were producing [inaudible 00:04:37], that the rods from which the fans hang in 10 inch increments rather than 12 inches, which is what every other fan company does, we're doing things that no one else was doing, and me that was good because it certainly differentiated us from the competition. Chuck Matthews: ... from founding in 1992. Thank you. Jamie: And where do people find your fans, typically? Chuck Matthews: They find them in local bricks and mortar showrooms and they also find them online. So we have a certain, a few designated online purveyors, which do a pretty good job with our product. Jamie: Okay, let me know some of those and I'll make sure to include it in the podcast link. Jamie: Well cool, I love that story and I know you and I have talked about trips to China and how that goes. And it sounds like you've got a bit of a passion around fans, which is probably not most fan companies have someone leading with a pure passion, so that's awesome. Tell me a little bit, what are your favorite parts about running your business and what do you look forward to coming into work on Monday to do? Chuck Matthews: I think what I found most exciting about what I ... It used to be the production of a product from idea inception to actual product, and then seeing it actually sold at a lighting showroom. Then it really became the international importing and then exporting of said product. I do have a passion for import and exports. We source products, still, from Brazil, we also source product from China. In the past we've sourced lighting products from Bulgaria, and we don bring in some product from Taiwan, also. And that's fun. But we distribute product in Australia, we distribute product in Vietnam and Singapore and Hong Kong, throughout Europe, and we've got a couple of small distributor ships working down in South America, also. So that's fun, but I really must say the most gratifying thing for me today would be the opportunities that we're offering some of our young employees. We're a relatively young company and bringing in raw talent and turning it into something really positive, to me, is most exciting. So it's not about me anymore, it's really about my employees. Jamie: Yeah, that's awesome. That's a good quality in a leader that wants to build a business for a long time, that's for sure. It's hard to retain talent. Chuck Matthews: It is, it is. And you go through a lot of, as any small business owner will probably attest, is that you hire an employee and sometimes you wish you didn't hire that one employee but you become dependent on that employee because you're so small that [inaudible 00:07:36] one person has to come in ... If you have two employees and one doesn't come in, that means you've lost 50% of your workforce. So relatively speaking, you're sort of desperate in that respect, so you need to retain that one employee even though he might drive you crazy, or she, might drive you nuts. But perhaps maybe I'm just more forgiving than most. But we've got a great group now, we're larger than we've ever been and we've got the, I think, the best group we've ever had. Jamie: That's great. I think with, I mean my experience is like, the investment you put into training people, you don't realize when you get started. And then after you hire a couple people and you realize you put six months into someone you realize how precious that time is more than anything else. Chuck Matthews: Oh yes, oh yes. Yeah, and then, you know, and it's just not the training, sometimes ... Well, it's trust. It's trust that you place in that individual. Sometimes it's misplaced, and if there are errors, those errors add up and they cost money. And if you ... You can certainly forgive an error and you can forgive a repetitive error, but if there's not attempt to change the scope of your daily activity and trying to eliminate those errors, well then you know you've got a problem with that particular employee. Jamie: Unless you're the owner, then you and I can make mistakes all day long and never have to change, right? Chuck Matthews: Of course. Of course. And I try and cover those up as best I can. Chuck Matthews: But it's only because I've got so many hand in which to juggle those many, many balls. Jamie: Well, people in my company love to know that if there's a mistake, usually trace it back, it's probably my fault. So it's ... But that's within our company, not everyone's the same. Chuck Matthews: I've certainly been known to make a few mistakes here and there. Chuck Matthews: That's why I'm so forgiving. Jamie: I mean I think, I actually think that's a really important quality of an owner is that to be forgiving is, you can't forgive yourself or your mistakes, you're not going to forgive people around you. Chuck Matthews: I mean I had a boss once where ... So my memory's pretty good, and I had him tell me once, "Well I have a photographic memory and so I know that what you're telling me right now, which I don't recall, is not correct. Because my memory is infallible and it's perfect." And I'm thinking, "You're crazy because I know for a fact what happened is what happened." And so anyway, yeah. So I think knowing that I'm fallible allows me to accept fallibility in others, but I don't accept is a nonchalant attitude towards errors and towards fallibility. I mean if you're not trying to improve yourself, well then ... I'm trying to improve myself daily and am I meeting all those demands that I place on myself? Of course not, but at least I'm trying. Jamie: The hardest thing when someone doesn't own up to a mistake, that's when you can't drive change without someone accepting it and moving on. Chuck Matthews: Well accepting it and then, I mean, if you can get beyond the defensive thing, and that can be a challenge. Jamie: It sure can. Tell me a little bit about the hardest time you recall your company in the 25 years. Is there a specific, you know? Chuck Matthews: Sure, I mean we'd always increased in sales from inception in 1992 to 2000, from when we really started to grow in the year 2000, up until 2007 when we ran into the worst recession since the 1970s. And at that time, of course, we had our set expenses, and as you're trudging along into the year and you're realizing that your sales are decreasing and your expenses have kept up with you as they'd always been, you start accumulating debt. And that was probably the hardest time was when we lost about 50% of our business during the Great Recession. And we accumulated a lot of debt, but fortunately at that time we had made the decision to start procuring product and manufacturing product in China. So before that we were strictly the handmade, very expensive distinctly handmade product that we produced in Brazil. As those very expensive, very costly but very quality fans, the sales of those were declining in the marketplace, we introduced a middle market product from China, which was mass produced, and those sales were increasing. So it was sort of a hockey puck, where the expensive product was decreasing in sales and that new product that we're introducing, which is less costly and more for the economy conscious consumer, that product was actually increasing in demand. And so that saved us. Jamie: So do you think if you hadn't introduced that new line you would've probably not survived that? Chuck Matthews: We would not have survived, no. Chuck Matthews: I'm pretty confident of that. We certainly wouldn't be where we are today, we would be the same company we were prior. Had we survived, we would've had to ... During the recession we only laid off one employee, he was one of the most recent hires, and he wasn't laid off, his hours were just decreased. And it was only for a few months and that was only during the winter months. And so we were able to really survive intact, though we took on a lot of debt, but that debt was paid of incrementally over the next couple of years. Jamie: You had a good vision where you knew the debt was worth taking on at the time. Chuck Matthews: Well actually, I sort of didn't have a choice because I didn't know it was happening. You know, you're like, I'm just kind of scratching your head, okay, so I know the economy's melting down but how does that affect me? Jamie: Hindsight's 20/20 on that one. Chuck Matthews: Is this really going to affect me? You know. And then, but you're like, okay, how long is this going to last? And again, you don't know a recession is happening until you've had a quarter of bad growth. So I could see that my growth was, of course, bad [inaudible 00:13:36] the last quarter, but until it's official, you know, you don't know if it's systemic. And it ended up being systemic. So yeah, that was a rough time. But we pulled through. Jamie: My last question for you is kind of why I do this. You know, you and I met, we were introduced through our mutual insurance broker, he's a good guy, Craig. Jamie: And you had in the past done some work in one of your businesses to reduce energy, I think you had participated in the Energy Efficiency Program. Chuck Matthews: At our other facility up the street, yes, about four or five years ago. It was a good time because all of our old fluorescent fixtures were dying, our High Bays were dying. And so we heard about the program whereby we could not only save energy but have all those really old fixtures replaced, which were starting to fail anyway. In fact, I wish that I had them in two years prior because I had already replaced half the [inaudible 00:14:39] in those other lamps, in those other fixtures. So that was a few years back, I'd say three, four years ago. And then we were thinking, perhaps, because we had High Bays here in this new facility right up the street, which were failing, or failed, and we thought it might be a good time, opportunity for us to repeat the same measure. Jamie: So really the driving motivation for energy efficiency work was that the long term maintenance on LED is much less than what you currently had, and you knew that they would have to take a lot of ongoing maintenance to keep them going. Jamie: 400 watt [inaudible 00:15:25]. Chuck Matthews: There you go. Right. And so LED is the new generation. And of course these dim on their own, I can see that one's dimming out there on the outside office. And they dim and they all, what I also liked about it is they also become security lights, so when I walk into the building and if I have to come in because there's an emergency or something's happening, or the employees are coming in in the morning and it's 6:00 in the morning and everything's dark, the lights will come on by themselves and no one has to fumble around for a switch. In the past, we had to walk that long dark corridor through the warehouse and flip breakers. So for us it was a no brainer in that it brought security to the building, it brought safety to the employees, and it brought us energy savings. And light, because we were losing High Bays, the High Bays were dying. Jamie: Yeah, so the yellow lights were kind of dimming over time, and yeah. Chuck Matthews: They were not only dimming but they were also, they were dead. There were a few that were dead. Jamie: Yeah. Well, cool. I love that, I love that there's a lot of reasons people do. That's why I love interviewing customers because there's 500 different reasons people do it, and it doesn't all come down to ROI, it doesn't all come down to saving the earth, and I think that's a really great, valid point that really drives a lot of decision. Chuck Matthews: With most businesses, I mean, I think there's going to be a selfish drive to make certain decisions. But at the same time sometimes those selfish drives are actually good for the economy at large, but also the earth. Jamie: Well, thank you so much Chuck. Chuck Matthews: You're very welcome. Jamie: It's great talking to you and I look forward to seeing you again. Chuck Matthews: Perfect, thank you.